Founded in 1503 by Nicolás de Ovando y Cáceres, the city of Hinche, the capital of the Centre Department of Haiti is about to celebrate its 515 years of existence on Saturday, December 8, 2018 on the occasion of the feast (Fête Patronale) of Our Lady of the Immaculate Conception. Many officials from various political backgrounds have put their heads together to make sure the city of HInche has a spectacular anniversary this year. Officials include Senator Rony Celestin, Depute Fred Pitton, Delegue Budry Coriolan and the City mayors Jonel Jean-Baptiste and his Assessors Jean-Claude Antoine and Mimose Placide. The city mayors have declared Friday December 7th and Saturday December 8th a City holiday by a communal decree they have signed. 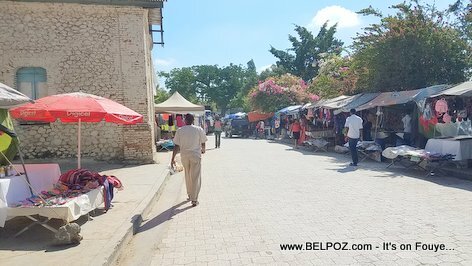 Hinche is nicknamed the city of Charlemagne Péralte, name taken from the famous Leader of Revolt of the period of the American occupation of Haiti. The ancient catholic cathedral of the city, which is more than five hundred years old, is a unique historical monument of Hinche. The Bassin Zim tourist site on the outskirts of the city of Hinche is the most visited of the Central Plateau region. So you are all invited... Come on and help the residents of Hinche Haiti celebrate the city's 515th anniversary. This article includes a part of another article by Godson Lubrun, published on Haiti Press Network.